I believe that women are the most capable for the formalization of the ethics of communications between machines and humans. 25th May 2018 GDPR data protection regulation became effective in EU. Thanks to GDPR regulation, companies became aware of the collected personal data at their premises, built prerequisites for company-wide information management / security management basis and company meta-data. The obvious next step for each of the company in the digital journey of robotic automation is to utilize all collected data for business growth. Usage the data directly or indirectly for analytics and robotic automation purposes (such as virtual agency customer response) creates a need to build an AI ethics roles and etiquettes for AI-human conversation inside each of the company as well as form the national and international guidelines. The outcomes of this workshop will contribute to represent diverse and deep women’s Point of View on the ethical dilemmas of the communication between humans and machines. 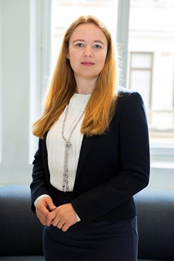 Brief Bio: With over 15 years of experience Alexandra is leading strategic technology consulting projects at Accenture Strategy. She helps CEOs, CIOs and CDOs of global companies to shape their journey towards becoming digital, to integrate digital strategy with the business and technology landscape, to embed innovation and data analytics to new operating model capabilities and to transform leadership mindset. Prior Accenture Strategy Alexandra was deeply involved in R&D for 4G & 5G Network Standardization at Nokia Research Centre in Finland, Centre of Telecom and Technology Catalunya in Spain, Infosys in India. Alexandra is originally from Russia and holds a Bachelor degree with honours in Applied Mathematics from Saint Petersburg State University (Russia) and Master degree with honours in Computer Science from Eastern Finland University (Finland), PhD in Statistical Signal Processing from Aalto University (Finland) and MBA from IE Business School (Spain). Alexandra has many publications in highly recognized scientific journals, IEEE conferences and university press and was giving lectures, talks and workshops at several universities & global industrial corporations across Europe, Northern America, Russia, India and South Africa. Ethics in Computer Science Education: how to build up the bridges between ICT developers and the digital society? Throughout our celebration of women in computing we are willing to discuss how to “Create the Future Together”. The strong fundaments of the future must lay down in the education. Therefore, I would like to encourage you to join our networking activities, which aim at identifying key points of the context of Ethics in Computer Science Education. For almost 10 years as an educator I have been trying to raise awareness of proper ICT education importance. To be recognised as a professional computer scientist is not enough to be an expert in programming or any other element of software, hardware or network building but also understand the consequence and impact of the development (especially innovation) on the individuals and the society. On the other hand, it is of paramount importance to educate wider community that make use of the technology delivered to them to improve their live to be truly prepared to live in a modern, information-driven world and be able to identify, mitigate or even eliminate the risk that ICT may bring to them. During the workshops I wish to gather different perspectives, understand educational contexts from different environments and communities, as I believe that this may completely change the dynamic of the situation, in the classroom where we try to bring issues around computer ethics closer to the group of people. The findings will be eventually published and could serve for others to enrich their computer related courses by including modules on ethics and professionalism in their curriculum. Brief Bio: An experienced HE lecturer in Poland at Polish-Japanese Academy of Information Technology and in the UK at De Montfort University, Fellow of Higher Education Academy with a business analyst expertise. Graduated from the Faculty of Technical Physics and Applied Mathematics, Gdansk University of Technology, where she received the Engineer and Master’s degree in technical physics, with specialisation Applied Computer Science. Since then has worked on various commercial, scientific, educational and teaching projects. The researcher in software engineering ethics with a special interest in ICT education. Co-organiser of the ETHICOMP’18 – the conference on computer ethics, a presenter during a number of events. Author or co-author of several publications and conference communications of applied computing and computer ethics. Co-author of innovative technical and didactics solutions including an innovative educational project “e-Experiments in physics”. Member of the ETHICOMP Steering Committee, the Centre for Computing & Social Responsibility, IFIP Working Group 9.2: Social Accountability and Computing and IFIP Special Interest Group 9.2.2.: Framework on Ethics of Computing. Machine learning is a powerful tool when you have huge quantities of data. How can you take advantage of ML when your data set isn’t enormous? Enter transfer learning. In this session we explore how to leverage pre-trained models to learn on much less data, much faster with a hands-on application in TensorFlow. TensorFlow is an open source machine learning framework. 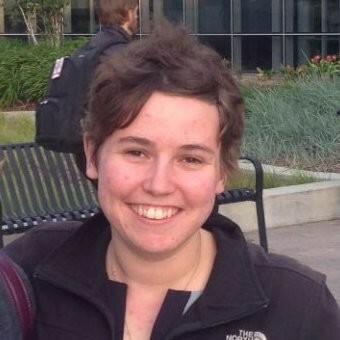 Brief Bio: Elizabeth is a software engineer at Google, in the Applied Machine Intelligence team. 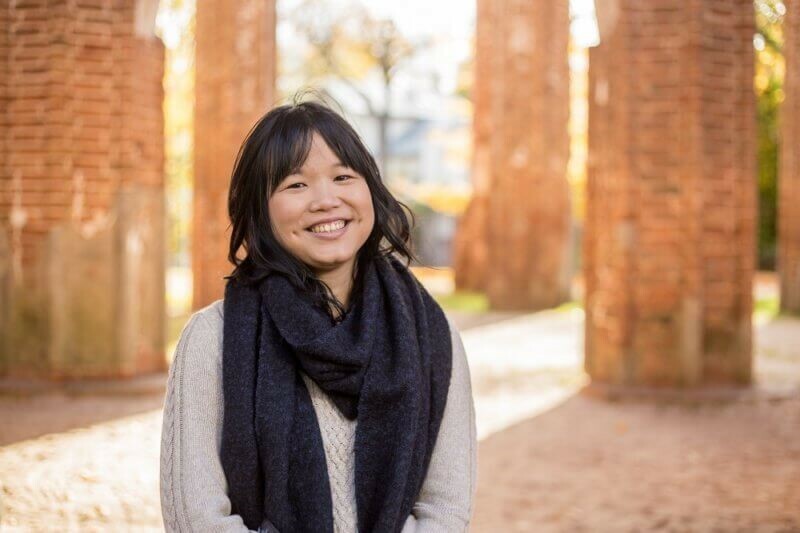 She works on adding and improving the use of machine learning across Google’s products. She has finished her BSc in Computer Science in 2011, from Carnegie Mellon University. Machine learning in digital image and video processing workshop should consist of two parts. First part should cover basic concepts of modern machine learning techniques, including neural networks and deep learning models. The main focus of this workshop should be on Convolutional Neural Networks, as a part of Deep Learning area, which enabled the great breakthrough in image processing domain. Learning basic concepts of modern machine learning applications, including neural networks and deep learning. Learning basic concepts of image processing based on deep learning. Learning the most important concepts in Convolutional Neural Networks. Technology overview through image processing examples. Technology overview through video processing examples. Brief Bio: Branka Stojanovic received her Ph.D. degree from the School of Electrical Engineering, University of Belgrade, Serbia, in 2017. 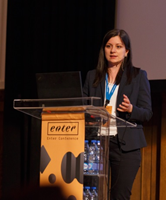 Since November 2008, she has been employed as a scientific researcher with the Vlatacom Institute, Belgrade, Serbia. 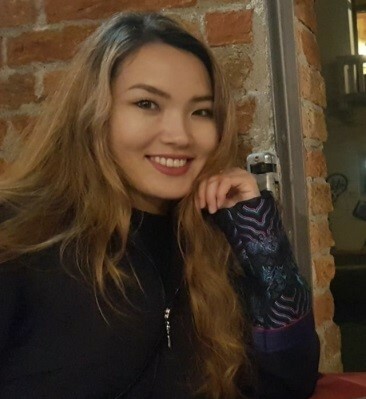 Her research interests include computer vision and machine learning, with the focus on pattern recognition and image processing. She is CISSP certified. She currently works on algorithm design, development and implementation in the field of advanced real-time video processing. 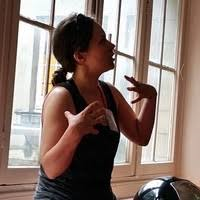 Brief Bio: Natasa Vlahovic received her MSc and BSc degree from the School of Electrical Engineering, University of Belgrade, Serbia in 2010 and 2011, respectively. She is currently pursuing the Ph.D. degree with the School of Electrical Engineering, University of Belgrade, Serbia. She has been employed as a scientific researcher in Military Technical Institute, Ministry of Defense, Republic of Serbia for five years, and currently works at Vlatacom Institute, Belgrade, Serbia also as scientific researcher. 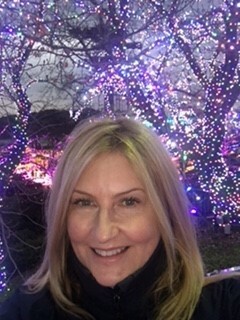 Her research interests include computer vision and machine learning areas, with the focus on image and video processing as well as object tracking. Current position includes design and implementation of advanced real time video processing algorithms. Cloud computing provides a convenient way to run your applications and your business online. Developers run applications locally on their desktops while they are developing them and then deploy them to the cloud. One of the challenges facing developers is how to make sure their local environment matches the cloud environment, for example with the same operating system and installed software. Containerization is a way to wrap up your operating system, software dependencies and application in a neat package, and Docker is the most popular containerization platform. In this workshop you will learn from IBM developers who work with Docker on a daily basis. You will be introduced to the fundamentals of Docker through a mixture of presentations and hands-on activities. We will work with you, answer your questions and make sure you get the most out of the session. This is a great workshop for anyone who is interested in getting started with Docker and gaining skills that are in high demand in the technology industry. Please bring your own laptop – any operating system is fine. If using Windows 7 or older consider installing Linux virtual machine, but not required. No previous experience with Docker required. Brief Bio: Gantigmaa Selenge is a software engineer in the IBM Message Hub development team based in Hursley, UK. She works in messaging on a number of cloud technologies including microservices, Docker and Kubernetes. Gantigmaa led the XploreIT community event to encourage year 5 students take up STEM subjects which involved 126 students and 59 IBM employees. 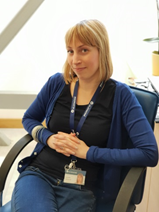 Brief Bio: Olja Rastic-Dulborough is a multidisciplinary software engineer in the IBM MQ developer outreach team in Hursley, UK. She works on making the 25 year old enterprise messaging software that is developed by her team members, more approachable to new users. Olja organised several IBM Women in Technology Day events that encourage female students to take up a career in technology. 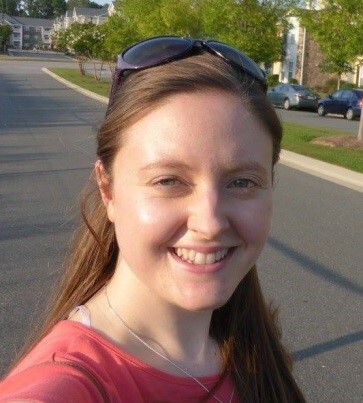 Brief Bio: Katherine Stanley is a software engineer in the IBM Messaging development team in Hursley, UK. She specializes in microservices architectures. Katherine has co-authored an IBM Redbook on Java microservices and created samples to demonstrate industry best practices. She also works on the open source microservice project Game On. 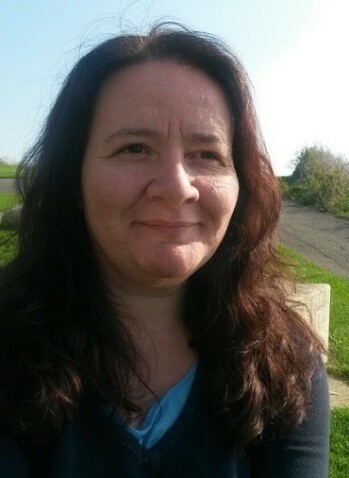 Katherine has given workshops and presentations at various conferences, including JavaOne in San Francisco, DevoxxUK and OSCON in London and JFokus in Sweden. Is lack of understanding around what motivates individuals a common weakness for tech companies? When Nadella became CEO of Microsoft in 2014 he asked what makes us all tick? Knowing what makes us tick – and what gets us excited – gives leaders and managers a better understanding of what makes teams and organisations successful. It is common knowledge that women are not represented as much as they could be in business leadership positions and this is particularly true of the tech sector. Cambridge Inner Game Leadership Ltd is an official training provider for a well-known global IT company, and in early July 2018 Lorraine delivered a bespoke course to a team of leaders from this organisation on understanding leading self, others and organisations with motivation. You too can have an introduction to the topic now being taught to today’s leaders. By the end of the workshop, you will begin to have an understanding of how diverse we all are on how we are motivated in different ways and begin to learn how to apply this in a working environment. Continuous professional development is an important part for women aspiring to be leaders and managers of the future. Lorraine looks forward to sharing this new 21st Century leadership science with you. Expertise: Cognitive Psychology in education – Leadership & Management – Personal, professional growth and well-being. Brief Bio: Founder and Head of People for Cambridge Inner Game Leadership Ltd. Working with International, UK businesses and Universities in Leadership Science. Specifically working as lead trainer and business mentoring; senior managers, PhD students, and Entrepreneurs from the University of Cambridge. Training groups in Leadership Science from large corporations to SME companies. Qualifications: MA Applied Linguistics, Post Graduate Certificate in Education, Post Graduate Diploma in Entrepreneurship, Combined Studies BA (Hons) Degree 2i, Diploma in Coaching, Certificate in Counselling Skills, Certificate in Counselling Theory, Myers Briggs Type Indicator and Motivational Insight Practitioner. In 2018 NIC Labs, a research facility devoted to systems and networks, reached the perfect gender equality: 50/50. This is a huge result from a 7 years old policy in a world where the gender ratio use to be 95/5 (systems and networks labs), 90/10 (computer science department) or in a best-case 70/30 (engineering school). First explaining our policy, why and how we developed it, the main reasons why we developed it, which obstacles we found, how we solved them and how was been our experience during the change on our policy. Expertise: Complex Networks, Internet Protocols, Network privacy/security and data science. Brief Bio: I have obtained my Ph.D. in Computer Science from Université Nice Sophia-Antipolis (thesis developed in OASIS team at INRIA), France in 2006. Today, I’m the head of NIC Labs. 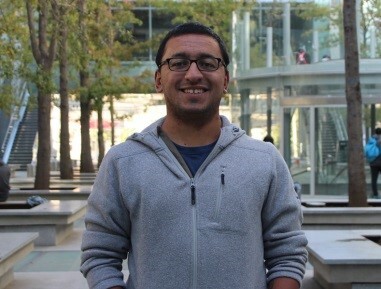 My research interests include complex networks, internet protocols, network privacy/security, and data science. My not-research interests include sports, music, and coffee. The advent of multi-core machines and big data requires more computer scientists and engineers to understand parallel programming concept to expedite data processing, complex calculation, and utilize the computation power of multi-core machines. One of the technique to improve computation is by employing parallel programming and most of the computer science and engineering students are not familiar with how the parallel programming works and fixated on programming languages and platform like MPI. In this tutorial, we are using Arduino microprocessors and gives a tutorial demo to make it works in parallel. Arduino is a cheap microprocessor that is suitable for classroom experiment and can be used to solve perfectly parallel problem. This hands-on experiment will show straight to the point of how code can work in parallel using message passing model with other microprocessors. It also shows what factors can affect computation performance such as microprocessor type, network latency, and parallel algorithm effectiveness. The tutorial will showcase parallel matrix multiplication and parallel Monte Carlo method. This demo has been presented during ICCS 2018 and OpenSuco 2018. Brief Bio:Radita is master’s student at the University of Tartu, Estonia with specialization in High-performance Computing. She works part-time at STACC, the leading data science research center in Estonia as a data scientist. She is into high scalability computing research and her work has been presented in Women in HPC 2017 poster session, ICCS 2018, and OpenSuco 2018.